Tom Bamforth is a writer and aid worker who has worked on development and humanitarian programs in Pakistan, Sudan, Philippines, Nepal and the Pacific. His writing has appeared in Granta, Griffith Review and The Age. 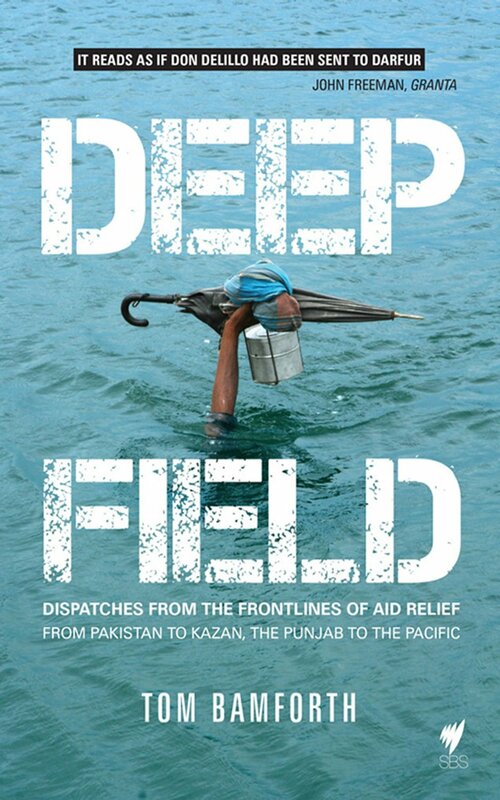 He is the author of Deep Field: Dispatches from the Front Lines of Aid Relief. “Enter the ‘highly politicized and ruthless world of a major humanitarian operation; for a roller-coaster of a read. Tom Bamforth begins in Pakistan. It’s 2005 and an earthquake has killed 83,000 people and left three million homeless. He abandons a trekking holiday to offer assistance. Next come humanitarian missions in Darfur, the Philippines, and the Pacific. Bamforth is a savvy and sagacious guide, explaining in depth the complexities that underpin and undermine efforts to stabilize countries experiencing state collapse, natural disasters or conflict. “He’s also one hell of a storyteller and wordsmith: astute, descriptive, ironic, funny and philosophical. As Australian argue over the reductive logic of ‘Stopping the Boats’, Bamforth illuminates the intricacies and entanglements of history, politics and self-interest and introduces us to the eccentrics who keep ploughing through it all for a better world. Verdict: Astonishing"
Now is the time to be thinking about which fabulous project you are going to submit for the Sean Dorney Grant for Pacific Journalism. Closing date is May 7th.